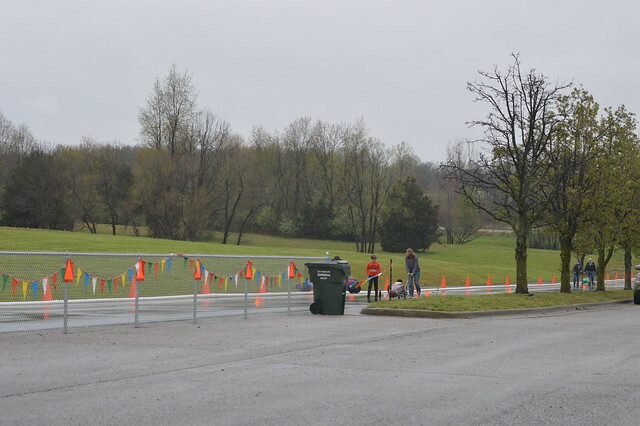 MADISONVILLE, Ky. (04/15/18) — Pennyrile Soap Box Derby is hosting its annual spring race this weekend in Madisonville. Rally races took place Saturday and will resume today at the Baldwin Drive track off Nebo Road. The rain didn’t hold back serious derby racers as all fields were full including three divisions competing in four races. Competitors only have a few races left in the 2017-2018 season to obtain qualifying points to race at the July World Championships in Akron, Ohio. Since rally racing across the U.S. wraps up at the end of May, race families from Kentucky, Illinois and Florida were on the track for the big race weekend, including 13-year-old Lukas Ramey of Hanson, a 2015 World Rally Champion. Master driver Ramey has already obtained enough points to qualify for a bid to the National Championship. He was competing Saturday in an attempt to grab his inagural first in the Masters Division on Baldwin Track. The Annual Local Race will take place at Baldwin Track June 2-3. For information about that race visit, http://www.soapboxderby.org/pennyrile/about-us/races/local-race.aspx. Any child age 7-18 interested in Soap Box Derby racing may contact Brien Terry, at 270-836-4492. Derby cars are available. Races resumed around 9 a.m. today at the track.